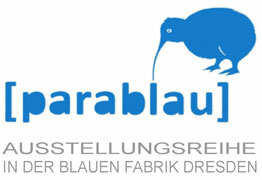 Swedish sounds to Dresden | Blaue Fabrik e.V. prefers to treat and mistreat different kinds of acoustic and electric objects whenever and wherever it is appropriate. children toys, found objects and slowly rolling ping-pong balls. He is also the creator of 12 stringed experimental instrument “Flexichord” built out of strings and pickups from 2 electric guitars attached to a piece of massive wood. Muntzing seems like a direct descendant of the AMM school; idealistic, communist electronic music, full of radio crackle and grit. This swedish musician plugs, strikes, scratches the strings with a incredible number of objects remembering the approach of Fred Frith to go beyond traditional guitar playing. During March 2019 he performs a couple of concerts in Germany. On the Dresden concert he cooperates with Saxon trombonist Günter Heinz. Eintritt 8 / 5 €.